ARCANE RADIO TRIVIA: Listen! Moscow is Speaking! In The Russian Federation today, Alexander Popov is considered the father of radio and not Marconi. In this bizzarro-world, Popov first tested ship-to-shore communications at a distance of about 6 miles in 1898 and then 30 miles in 1899. (Marconi was privately demonstrating his transmitter as early as 1894). 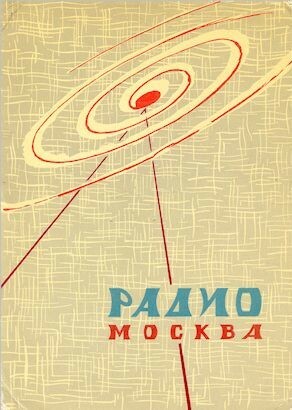 Nonetheless Radio and TV day is celebrated in the Soviet Union on May 7th in honor of Popov. "The All-Russian Congress of Soviets has formed a new Soviet Government. The Government of Kerensky has been overthrown and arrested. Kerensky himself has fled. All official institutions are in the hands of the Soviet Government." Vladimir Ilyich Ulyanov (aka Lenin) knew full well that a large proportion of the Russian population was illiterate. He saw radio as the ideal way to reach them not just for propaganda purposes, but for general health information, education and news. On July 19th, 1918 he transferred the control of broadcasting from the military to civil administration. 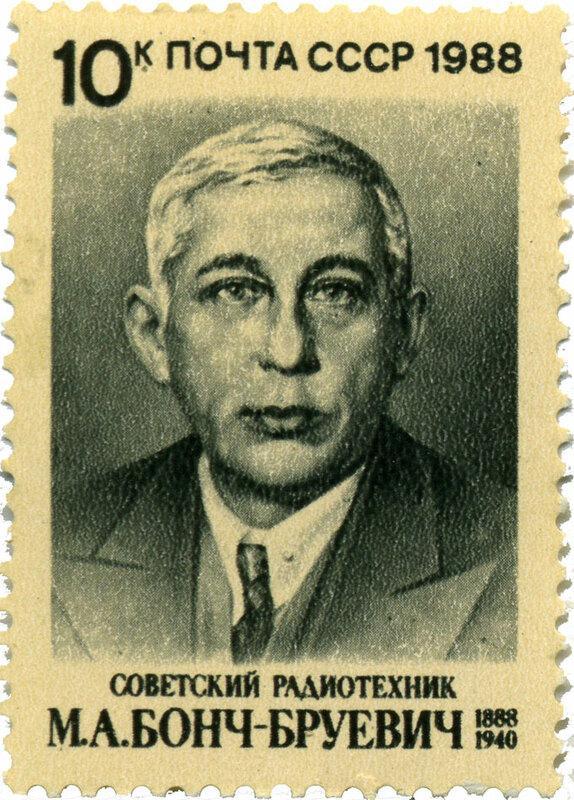 He established the Nizhny Novgorod Radio Laboratory under a brilliant engineer named Mikhail Aleksandrovich Bonch-Bruevich. Bonch-Bruevich had graduated from Nikolaevsky Engineering School in St. Petersburg in 1909, then Imperial Institute of Electrical Engineering and the Leningrad Electro-Technical Institute. He earned the equivalent of a Phd in 1914. Anyway back at the Nizhny Radio Lab he developed a 40,000 watt, water-cooled tube that he used to build Komintern Radio in Moscow. He went on to build 27 more radio stations across Russia. (He later did much work in the development of radar) In 1921 the first regular voice broadcasts began in Russia, the new program was called the “Spoken Newspaper of the Russian Telegraph Agency.” You can read more on that topic in the book War of the Black Heavens by Michael Nelson. While test broadcasts in 1922 went on for months, the regular programs were inaugurated with a concert on Sept. 17 the first radio concert was held directly from the experimental Radio Station RV-1 on Shabolovka Street, operating at 12,000 watts. On this day, the Soviets heard for the first time the famous words, "Listen! Moscow is speaking!" It could be heard in Moscow, Vologda, Saratov, Samara and altogether some 60 other cities due to the work of Bonch-Bruevich. More here and here.